InMotion Playbooks is happy to provide this series of training videos to you at no charge. These videos demonstrate the animation of some of the most requested plays available in InMotion Playbooks. We have used available features including the Chalk Board drawing tool and the slider bar to highlight and illustrate the power of InMotion as a teaching tool. 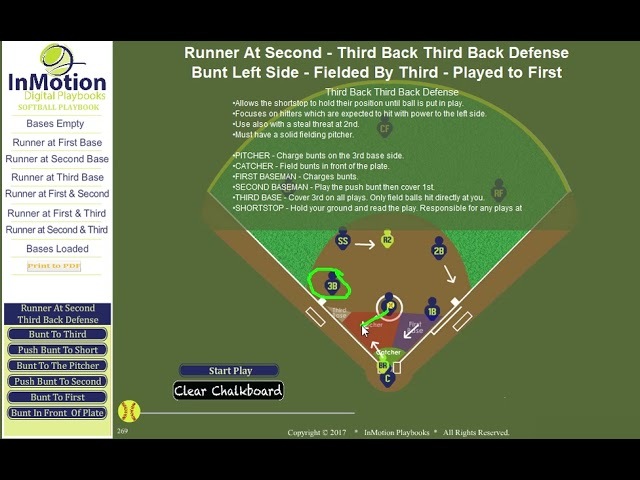 These videos represent just a fraction of what is available in our InMotion Softball Playbook. Enjoy!